Ant Financial is dedicated to bringing the world more equal opportunities through building a technology-driven open ecosystem and working with other financial institutions to support the future financial needs of society. Powered by the blockchain technology from Ant Financial, AlipayHK and GCash launch cross-border remittance service, offering a fast, secure, convenient, transparent and low-cost way to transfer money directly between individuals in Hong Kong and the Philippines. Ant Financial and the United Nations Environment Programme (UNEP) worked together to initiate the Green Digital Finance Alliance at the World Economic Forum in Davos, Switzerland. This is first international alliance set up by UNEP in cooperation with a Chinese enterprise over the past 45 years since its establishment. Ant Financial launched the "Spring Rain Plan" to invest RMB1 billion in supporting at least 1 million developers and serving 10 million merchants in three years. Ant Financial announced that, in partnership with CFPA Microfinance, it will promote the "Targeted Poverty Alleviation" program, which will cover 300 poverty-stricken counties. Ant Financial announced that it has completed its US$4.5 billion Series B fundraising. It also declared international, rural and green finance as its strategic focuses. Ant Financial were elected as one of the council members of the National Internet Finance Association of China. Its CEO Ms. Lucy Peng was elected vice president of the council. MYbank launched its app, providing financial services such as loans and wealth management to small and micro businesses and individuals. Ant Financial and 59 other finance and fintech companies jointly pledged to safeguard consumer interests. China Central Television and Alipay released an interactive game at the Spring Festival Gala – “Grab Red Envelope, Pass on Good Fortune”. Ant Financial launched the “1212” global shopping carnival. Ant Financial announced that it had become a strategic investor of “36 Kr”, a service platform for startups that started off as a tech blog. Ant Financial launched its "Internet Booster Plan", enabling financial institutions to improve efficiency and better serve their customers. 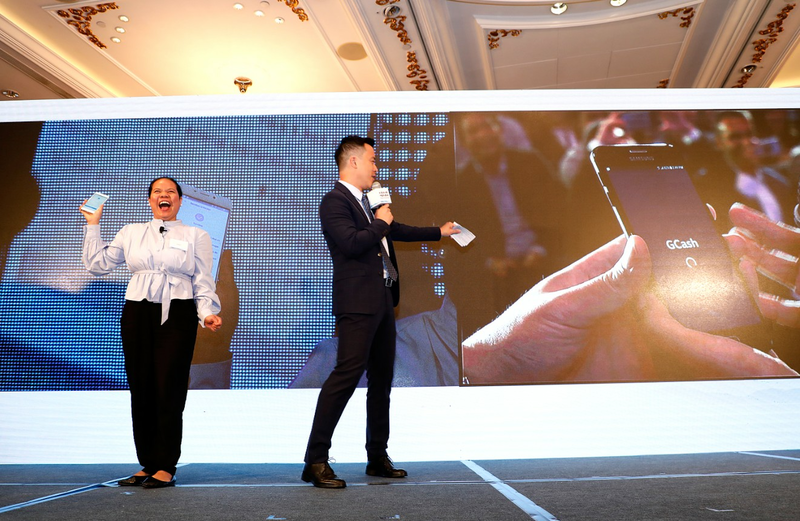 Ant Fortune, a smart wealth management platform under Ant Financial, was formally launched. The Alipay 9.0 version was officially released, which was regarded as an important update for the app,, with the new social networking element. Ant Financial announced it completed Series A fundraising. Ant Financial launched “Taojin 100 Index”, together with Bosera Asset Management, Shanghai Gildata Service and China Securities Index. Small and Micro Financial Services Company was renamed Ant Financial Services Group. MYbank was approved by the China Banking Regulatory Commission. Alipay Wallet became the first in China to trial fingerprint-verified, bringing mobile payments into the biometric recognition era. Alipay established a strategic cooperation with Global Blue to jointly promote overseas tax reimbursement via Alipay. Alipay Wallet launched "Bus of the Future" program with the Ministry of Housing and Urban-Rural Development. Alipay launched the "Hospital of the Future" program. Ms. Lucy Peng announced Ant Financial's four principles: "steadily innovating, embracing regulation, activating finance and serving real economy". Zhao Cai Bao, the financial information service platform under Ant Financial, was launched. 12306.cn formally supported purchasing train tickets via Alipay. Alipay's Sound Wave payment technology was first put into use on a large scale in offline shopping. 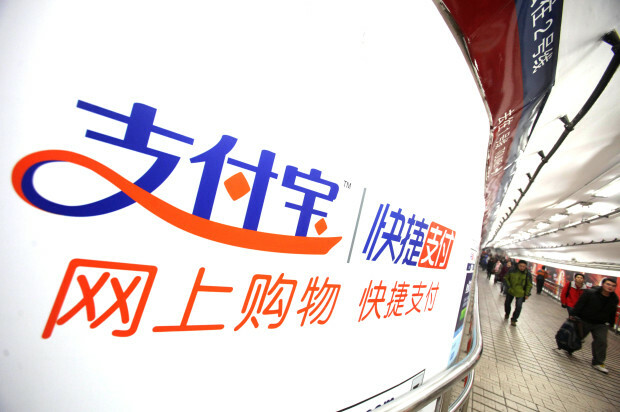 Alipay launched its tax reimbursement service for overseas shopping. Yu'e Bao was officially launched. Working with Tianhong Asset Management, Alipay allows users to buy wealth management product, even if they only have RMB 1. Alipay launched "Compensation within 24 hours for capital loss below RMB 300". Alipay's Quick Payment reached over 100 million users. Alipay launched the account balance protection service. Users can claim compensation if the balance on their Alipay account is lost due to account theft. Alipay obtained the license as a third-party payment platform for fund transactions from China Securities Regulatory Commission. Alipay launched quick payment of utilities bills with credit cards. Alipay sent users his or her “Payment Record for the Year Past”, first of its kind in China. Alipay announced that its quick payment had more than 40 million users, and over 50 percent of Alipay transactions were conducted via quick payment. Alipay launched a new mobile payment product - payment with barcode, being the first to tap the offline market with online payment technology. Alipay was the first to receive “The Payment Business License” from the People’s Bank of China (also called "payment license" by industry insiders). Alipay's quick payment service had cooperated with credit cards issued by ten banks, increasing payment success rate from around 60% to 95%. Alipay and the Bank of China jointly announced the release of the latest innovative product - quick payment with credit card. Alipay mobile app had been downloaded almost 10 million times. Alipay users reached 300 million. Alipay joined forces with China Development Bank to provide the latter with new channels for student loans. The consumer version of Alipay was launched on January 8. 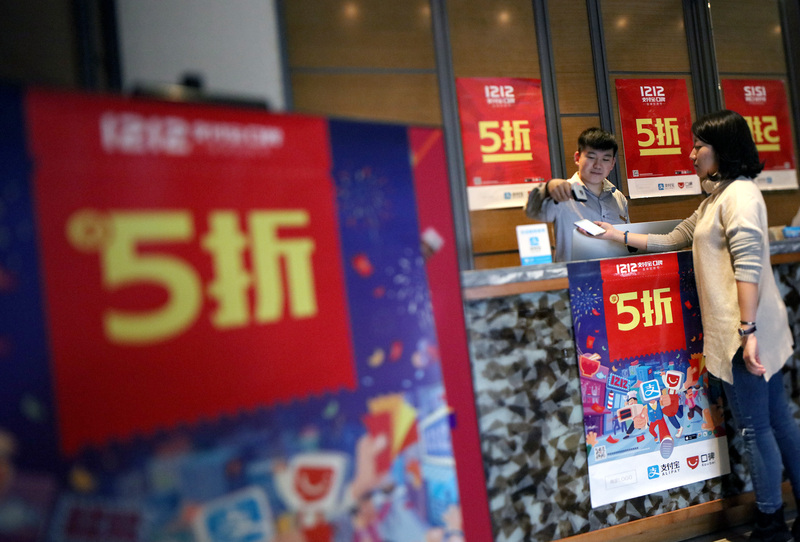 Alipay celebrated its 5th anniversary, with daily transactions reaching 5 million. Alipay announced the formal launch of its mobile payment service. Alipay users reached 200 million. Alipay started to work with the e-banking system of the Bank of China. Five major state-owned banks and 15 national banks had established cooperation with Alipay. The platform for public utility bill payments was launched in Hangzhou, immediately allowing Hangzhou residents to pay their water bills via Alipay. The platform for utilities payment (go.alipay.com) was launched, allowing Shanghai residents to pay their water, electricity or telephone bills online. Alipay’s mobile WAP platform was formally released. The company had gained over 100 million registered users, with daily transactions reaching 2 million. Alipay announced the launch of its innovative voice-controlled payment for mobile users in China. Alipay had over 50 million users, while China only had 30 million credit card users at that time. Together with China Construction Bank and the Bank of China Alipay announced in HK that it will expand overseas. Alipay announced the launch of the "Internet Trust Scheme" on behalf of its over 300,000 enterprise users and 44 million individual users. China Post Group started strategic cooperation with Alibaba. The Industrial and Commercial Bank of China issued the Client Transaction Trusteeship Report for Alipay, making users feel safer about Alipay’s management of their transactions. Alibaba established strategic cooperation with the Agricultural Bank of China. Alipay's "Online Inquiry System" was launched, through which users could seek help from online customer service. Alipay accreditation was upgraded, allowing all Taobao and Alipay members to apply for accreditation on the Alipay platform. Alipay opened its 24-hour customer service hotline. Alipay established strategic cooperation with the China Merchants Bank. Alipay started cooperation with VISA. Alipay signed a strategic partnership agreement with the Industrial and Commercial Bank of China. Alipay launched the "Full Compensation" system with the slogan "As long as you use Alipay, we will compensate you in the case of account theft".